Working at night shift on weekends. Sangat la boring, ok? End year SALE pun dah dekat.. Erm, rasanya tak patut shopping kot. Nak pindah lagi, so few things utk rumah nanti tak beli lagi. 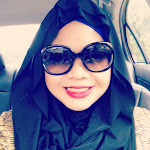 Last week on 15th, I went to Mid Valley for 1 of Bobbi Brown Event. It's not a big one. They just provide make up lesson to their loyal customer la konon..:P At last I've bought BB corrector and concealer sebab, result dia sampai buat Sha senyum je. Ahahha.. I got serious eye bag problem. So bila jumpa something, mana taknya sukeee gila..
Then I went to Wisma Goshen, for HL briefing. Actually interested with their product. Nutrition product. Sebab macam rasa badan ni ada byk penyakit kaaaannn (dah tua kot..ishh.ish.). Dan GEMUK. Uwaaa.. So balik, chat with Iza, ThePinkStiletto's blogger. She's one of the HL Distributor. Bkn tak interested to be distributor. Interested. To help people to get more money and healthier.Tapi lagi best kan if kita dah guna product tu and got the results. Then br recommend to someone. Hehehe.. That's what I've thought about it. Yeaaaaaaaaa.. no more working for 12hours. No more 7am-7pm or 7pm-7am. Starting on 27th, my shift rotation has been changed to 8am to 4pm for day shift and 12-am to 8am for Night shift. Ok what. Off day still maintain 4 days. But in 2 weeks memang akan kena keje for 12 hours la. For 1 day only 8am-8pm. Yeah la, kene ganti another 4 hours yg dikurangkan dr 12jam sblm ni. Paham tak? tak paham , ignore je la. Pening gak sebenarnya. Ok lah, nk tido jap. Tgh break ni. See ya..